Download my resume in PDF form or download the TeX template file. 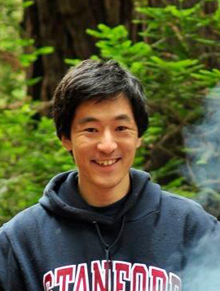 rioleo.org is the namesake domain of Rio Akasaka, a recent graduate of the Master's program at Stanford University, studying Human Computer Interaction. I am currently a Product Manager at Google, though anything I say here is outside my capacity and does not represent the company. I used to be a professional web designer working under the banner of Helvetic Design. With extensive experience in Photoshop, CSS and web standards, I have particular expertise in blogging platforms and content managing systems. I graduated from Swarthmore College with a double major in Engineering and Linguistics. My main focus is developing and maintaining a clutter-free web experience using strict adherence to web standards, cutting-edge technology and cross-browser compatibility. I have been working with websites since the fall of 2000. I used to be a volunteer firefighter, am now an avid cyclist, photographer, and a self-published author. I have previously lived in Switzerland, Japan, France and Brazil. My favorite pen is the Pilot Razor Point, which I became acquainted with as an intern at IDEO. Various designs of this site have been featured on CSS Mania and CSS Import. This site was coded entirely by hand, and is now running WordPress 5.0.2 on DreamHost's servers. Most pages are valid XHTML 1.1 and have accessibility tools integrated. You can navigate through this website without using your mouse, by pressing ALT and a number from 1 to 5. The tools used include CuteFTP 8.0 Professional, Adobe Photoshop CS5, and Notepad2. Plugins used include Akismet, Popularity Contest, my own Blogroll Time Since, WPBackup, FeedSmith, Add Meta Tags, WordPress Mobile Edition and WPhone. If you would like to get in touch with me, please use the contact form. My blog has existed since May of 2003. Feel free to browse through the monthly archives or through some of the more notable entries here.